Robert is the Director of Blue Pony Youth Program is one of many projects that Robert is involved it. Learn more about what Robert is up too, Make No Bones About It- 12-8-2013, 5:00-5:30pm. Robert Upham, AKA- “Harlem Indian” is a mixed blood American Indian from the Gros Ventre, Assiniboine, Dakota, Salish, Pend Oreille, and Adopted Blackfeet and Lakota. He grew up on the fort Belknap Indian Reservation near the town of Harlem, Montana. In 1994 upon the advice of his Uncle Floyd Red Crow Westerman, robert walked across the United States with Dennis Banks, co-founder of the American …Indian Movement. The walk was called the Walk For Justice and the purpose was to raise awareness of Leonard Peltiers imprisonment and the various issues across Indian Country. He is an artist in the tradition of the Winter Count. His mediums are: Acrylic, Pen, Pencil and VIDEO. For the last 9 years he has used video to educate the public on the american Indian Cause. He is presently Director of the Blue Pony Youth Program. His major Project at this time is a movie called “the Harlem Indian Project- License to be Indian”. 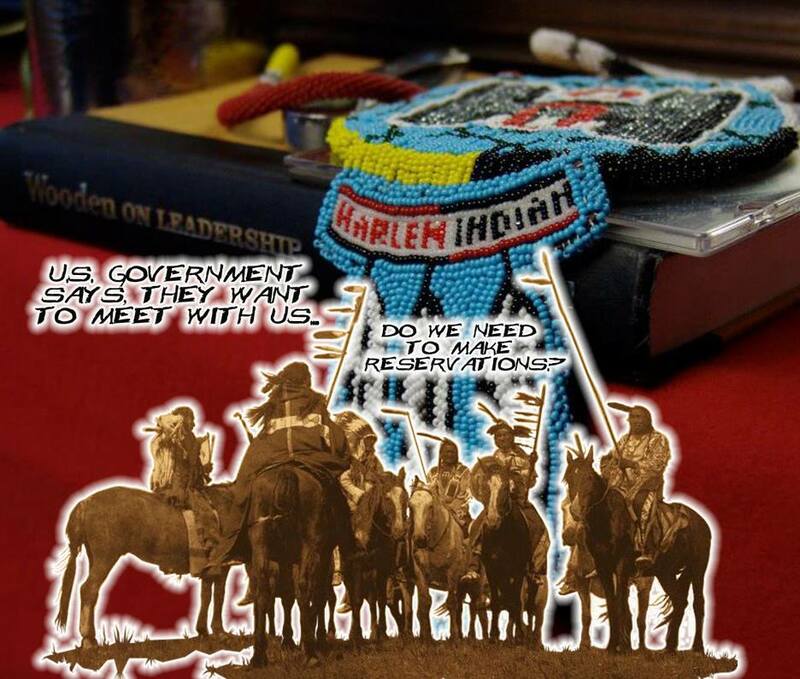 This entry was posted in Make No Bones About It and tagged AKA- "Harlem Indian", Connecting with Spirit, KAOS 89.3 FM, Make No Bones About It, Raven Redbone, Robert Upham. Bookmark the permalink.